The Hasselblad H4X Medium Format Camera with 80MP IQ280 Digital Back captures high resolution images great clarity and color rendering on a massive 80MP image sensor. This medium format DSLR produces incredibly detailed image quality that is ideal for landscape, portrait, commercial, and fine art photography or for those who are looking to work with high-end equipment. 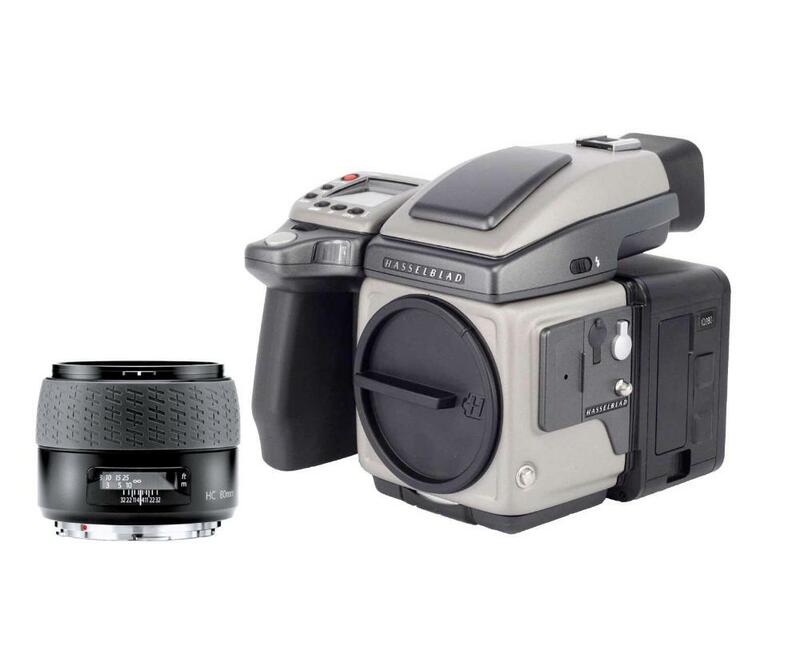 The Hasselblad H4X is a powerhouse made of an aluminum inner core with stainless steel housing. RAW files are about 80MB (10328 x 7760) each. For comparison, the D800’s considerably hefty 36MP produces 40-45MB RAW files (7360 x 4912). You can take advantage of Phase One's 13 stops of dynamic range as well as Hasselblad's central lens/leaf shutter, which allows flash sync at all shutter speeds. This provides studio photographers with much more creative control over their lighting compared to shooting with focal plane shutter DSLRs, which typically only have a maximum shutter/flash sync speed of only around 1/200th-1/250th of a second. Other great features include a 90 degree eye-level ultra-bright viewfinder with 3.1x image magnification, instant focus confirmation so that one does not have to check their focus after each shot, a 3.2" 1.15MP touch screen LCD, and 8 programmable profiles. The technical quality of this camera is without compromise. The sensor is over twice the capture area of the largest 35mm DSLR sensors and the touch screen allows for easy panning, browsing, and zooming up to 400%. This camera is the best tool to use when image size, quality, and detail are essential. The Hasselblad 80mm f/2.8 is the standard lens for the H system. The high-performance design ensures great color correction, a flat image plane, and low distortion. The wide aperture facilitates photography in poor light and provides a bright viewfinder image. Note that the medium format sensor will render the 80mm lens to behave more like a 50mm. For more information visit the manufacturer's website.